Send A Message To Aspen Counselling Services. Individual Counselling for issues such as self-esteem and assertiveness, bereavement, recovery from trauma and/or abuse, depression and anxiety, anger, workplace stress and dealing with difficult people. Couples Counselling services which are tailored to enhance connection and intimacy, repair damaged trust, and improve communication and conflict resolution. In circumstances where the couple has decided they no longer wish to remain together but would like to make a healthy transition from partners to co-parents, Aspen Counselling also provides parenting-after-separation sessions to assist with navigating some of the more challenging aspects of this adjustment. 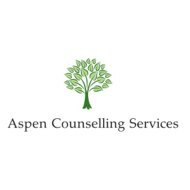 Aspen Counselling Services additionally provides Family Therapy with a focus on enriching attachments, addressing parent-teen conflict, improving communication, and supporting healthy parenting and boundaries. Whatever your unique concerns are, you can bring them to our sessions and be listened to with respect and in confidence. We are committed to working collaboratively with you to support your well-being and personal growth. Morning, afternoon and evening sessions are available to accommodate your schedule - feel free to get in touch today to discover how we can help you.